Which geometrical features affect the severity of coronary artery disease? 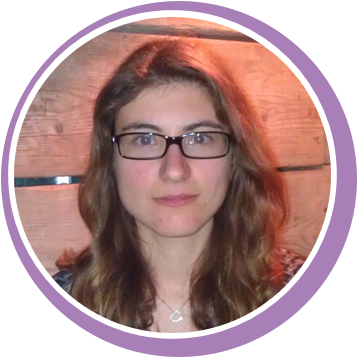 Chrysa Kousera is an engineer, specialising in mathematical modelling and fluid mechanics. She is applying concepts developed for the aeronautics and oil and gas industries in the study of blood flow through healthy and diseased arteries, with the hope of acquiring a better understanding of the underlying causes of heart disease and ultimately improving diagnosis. As part of my PhD I have developed a method to accurately create 3D models of patient-specific human coronary artery anatomy, combining imaging techniques of the highest possible resolution and contrast and mathematics to produce the most detailed virtual representation of coronary anatomy to date. 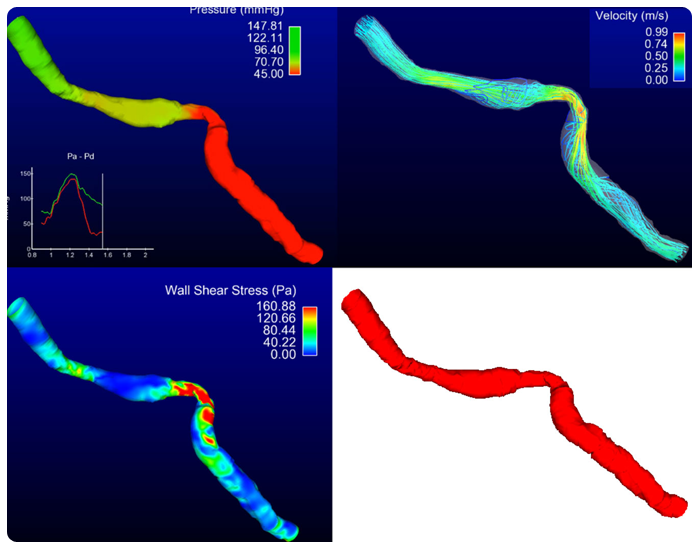 The resulting geometries are used in computational flow models to determine which geometrical characteristics of a narrowing, such as the roughness of the plaque formed on the vessel walls, contribute to the high pressure drop observed in severe disease. By identifying and studying the scientific principles underlying this phenomenon, we hope to provide better understanding of the mechanisms with which plaque formation restricts heart’s oxygen supply, and as a result, provide clinicians with more reliable diagnostic tools.